Ready or Not, Here I Come records a game of hide and seek played out between Antoni and her father within the clean, ordered domestic environment of her parents’ home. 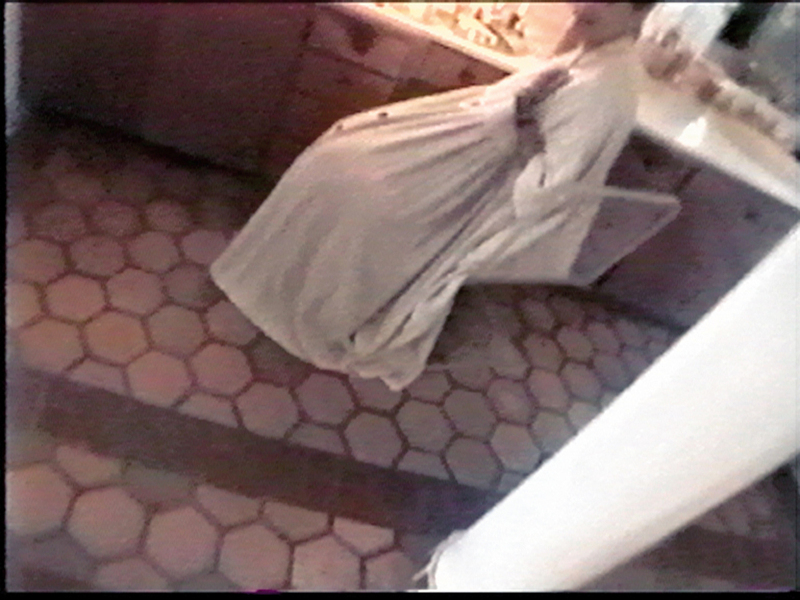 Antoni’s father videotapes the game as he hunts around the house for the artist. She is found hiding under the table, in the tub, and finally under her mother’s dress in the bathroom.